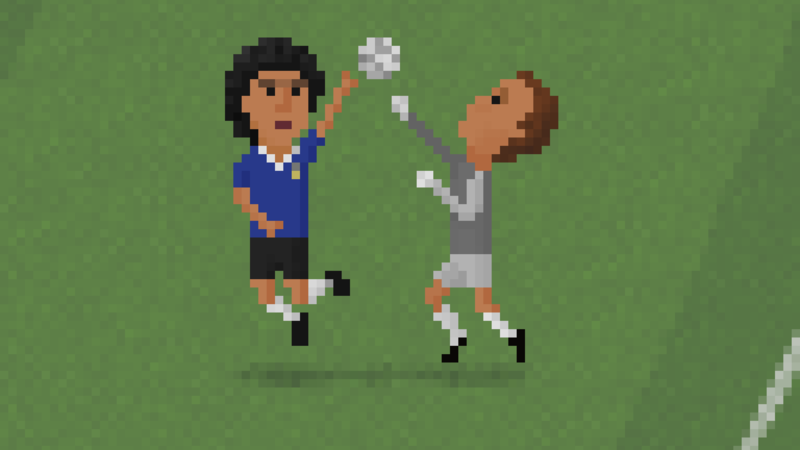 Matheus Toscano, a Brazilian art enthusiast and self-taught football artist, is the man responsible for the wildly popular minimalist art project 8bit Football. What began as a self-confessed amateur hobby has, over the years, evolved into a beloved passion project that he now pours countless hours into each week. Whether leafing far back through the game’s archives, rewinding clips from classic matches to relive unforgettable moments from bygone eras, or looking to the present day for inspiration unfolding live before him, Matheus has become adept at taking snapshots of football, be they unbelievable goals, saves, tackles, controversies or anything in between, and preserving them for posterity in his typically stripped back art style. Matheus recently spoke to These Football Times to discuss the origins of his project, the unique blessings and challenges that come with being so unconditionally attached to one particular aesthetic, and the moments he most loved recapturing for art’s sake. 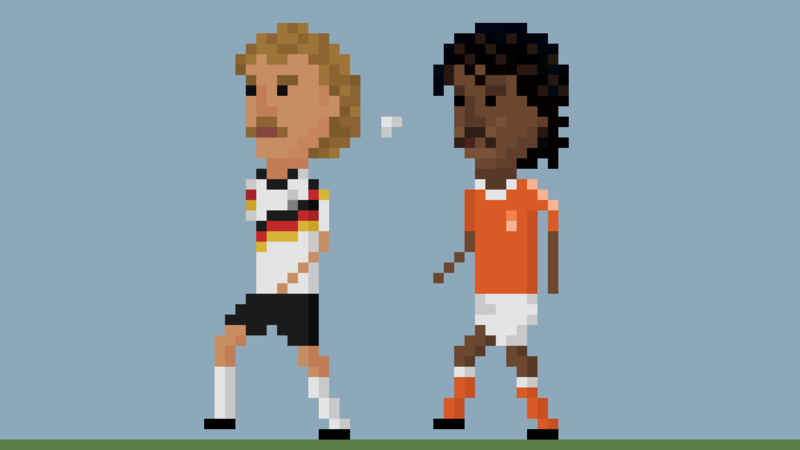 How was it that you first conceived the idea of 8bit Football? Which came first, the love of football or the love of art, or have you always enjoyed the two of them together, and was there a particular game, goal or moment that led you to start making art about the beautiful game? “The love of football came first. I was born and raised in Brazil and football is like a religion. It is so embedded in the country’s culture that you only notice how much when you leave the country. The art came at a later stage. I used to enjoy drawing as a kid, but it was never something that I took seriously. I have zero background in art, graphic design or anything related to that. The style of your art, for me and I’m sure for many others, harkens back to an early gaming aesthetic where the technical limitations of relatively primitive games consoles necessitated a retro style of graphics and animation. Were video games particularly impactful on your decision to become an artist or is that connection merely a coincidence? Did you have any favourite games growing up? “Video games were my biggest influence. As a kid, I spent hours playing classic games like Sensible Soccer, FIFA International Soccer and others. One of my strongest memories was updating the game info – whenever the game allowed, in ones such as Sensible Soccer – in order to reflect the Brazilian clubs at that time. There were not many video games which had Brazilian clubs so, whenever a game had an editor in it, I would spend hours adjusting the style and colours of the kits, (not to mention updating every individual player name. I think that has a big impact on why I started doing what I do now. One of the key aspects of your art is how it distils the game’s major events, boiling down those memorable moments until they’re formed by only the simplest elements required to represent them and then preserves them in our memories. To the layman, they might look easy to make but I’m certain they’re far harder to produce than people think. What are the benefits of making art in the minimalist style that you do? Conversely, what are the biggest challenges when it comes to rendering particular moments in a style that is so minimal? “One way to look at the benefits is the lower the resolution, the lower the number of pixels and therefore the chances of going wrong. There are different challenges depending on what I am drawing. When I create caricatures – usually just a player standing – the challenge is to observe what makes a player distinct from each other. “Some players can be very distinct because of their hairstyle or facial hair – usually those ones make my life easier – but others can be very difficult so observation is key here. If I am creating a scene, I try to focus on the overall feeling rather than reproducing the exact player movements and positions. The idea is to communicate what happened, not to copy the exact scene. Of all the pieces you have made, chronicling decades of famous and sometimes infamous moments on and off the pitch, is it possible for you to pick your one favourite? “If you consider the drawings only, I like very much the classic ones: the Hand of God, Zidane’s headbutt and Rijkaard spitting on Völler. 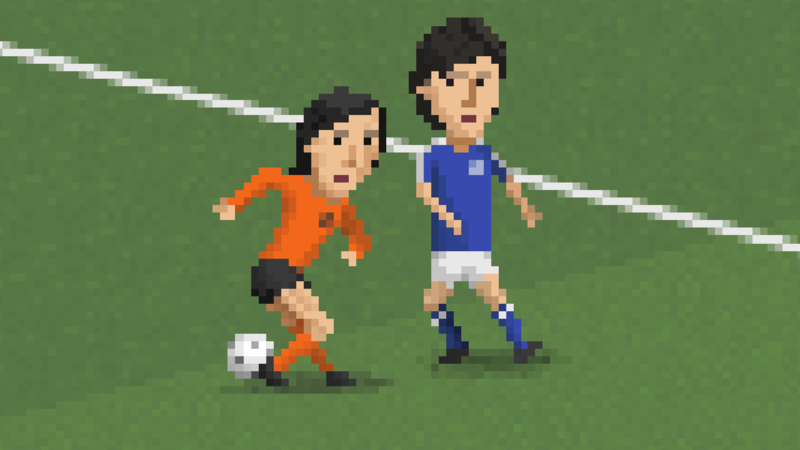 But recently, my favourite ones are the recreating goals using the Sensible Soccer style. I remember that when I used to play this game, I loved all the details that it had, such as the crowd and police officers. This made it so realistic at that point in time and it is very aligned to the details that I like to include in my pieces. 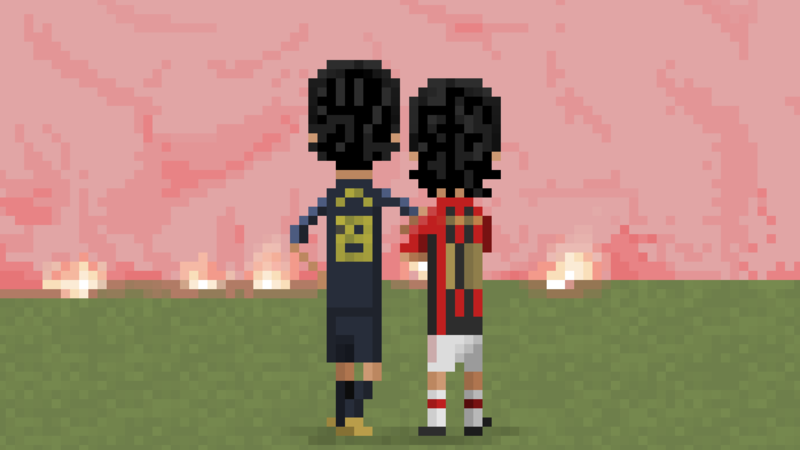 Do you have any other projects or art series that you think fans of 8bit Football may enjoy? Thanks to Matheus Toscano for speaking to These Football Times as part of The Gallery. If you’re an artist for whom football remains the ultimate muse, and you’d like to feature in The Gallery, please email us with examples of your work.